Woo Hoo! First festival of the film and that too very aptly, the Bangalore International Short Film Festival!! ‘The Hindu’ featured the Director! Thanks to I am Madras, the director got featured in a nice little write up. A successful screening in Hyderabad, thanks to Shadow Puppet Creations, we had 4 shows across 2 days and 2 beautiful locations. We got featured in an interview in tv9 news, the day before Bangalore screening. FILM MEETS ITS HOME! SCREENING IN BANGALORE. 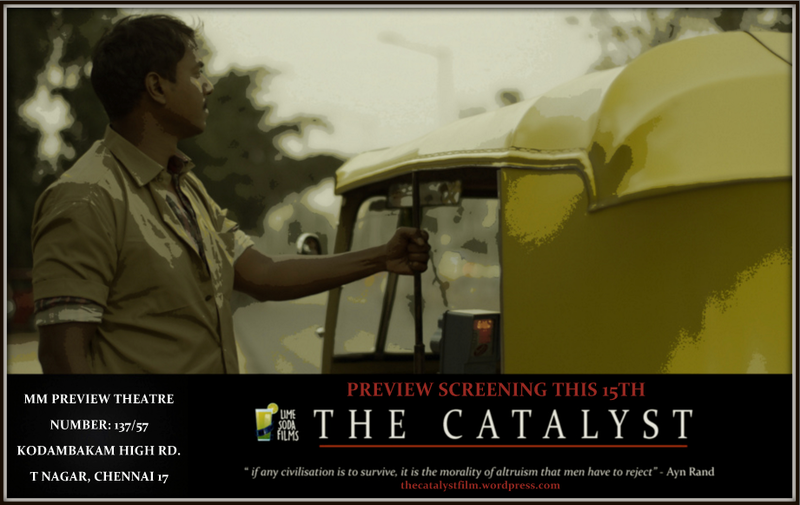 A SUCCESSFUL CHENNAI SCREENING ON THE 15TH OF MARCH!